Boipeba is an island on the Tinhare archipelago. 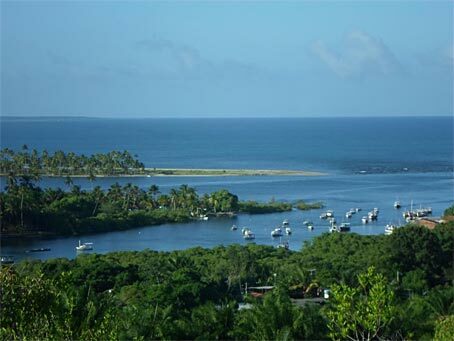 It's one of the best places to own a home in Bahia if you want to live on a tropical island. You will be away from the rush and madness of urban life and live amidst peaceful nature. The island is carefully preserved, untouched by urbanization and each property has a charm of its own. Here are the latest homes to help you start your search. The house is located just 100 meters from the scenic Boca da Barra beach and is close to the meeting point of the river and the sea. The beach has several huts, eating outlets and inns. The location is also close to the village and the arrival pier of Boipeba. The house is made on a large piece of land with plenty of native plants and trees. You get a living room, two bedroom suites, kitchen and a separate bathroom for maids. The property also includes an independent apartment with a living room and bedroom suite that can be rented out or used as a guest house. There is scope for further construction. The house is currently available for R$620,000. The house is next to the beach and has direct beach access. The architecture is traditional with tiled roofs and liberal use of wood in construction. It was renovated in 2007 and a lot of improvements were made. Solar panels were installed, natural ventilation was improved and structures were upgraded. The house has a large mezzanine deck with beach and sea view. You get a living room with integrated kitchen, four bedrooms, two bathrooms and an office. There is a store room, a utility area and a separate washroom for maids. The current price is R$1,450,000. This rustic home is located on a relatively larger piece of land. 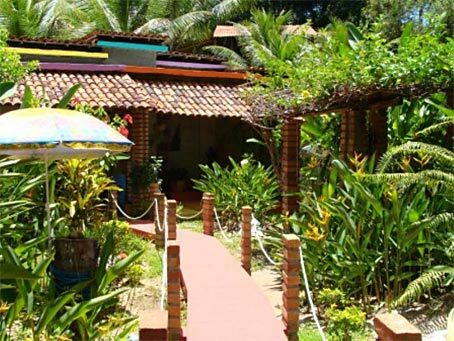 It is just a few meters from the Boca da Barra beach and close to the area with the beach huts, outlets and hotels. It is also close to the village. This house with traditional architecture is built on 1200 sq. meters of prime land. It is full of thick vegetation and trees. You have the living room, two bedroom suites and kitchen. There is an outhouse with a bathroom and an independent apartment with one room and a bedroom suite. There is a lot of space for expansion. The property is suitable for conversion into a small inn or restaurant. It is currently available for R$750,000. 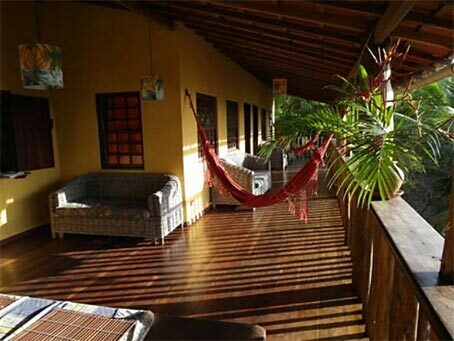 This charming two-floor traditional house is just 200 meters from Morere Beach and the village. It's close to restaurants, bars and shops. The house has tiled roofs and wood flooring. There are spacious balconies offering spectacular ocean views. High-quality wood is used in construction. The house has a living room, four bedroom suites and kitchen. You also have a storage area, a barbecue and a separate maid's washroom. The house has excellent rental potential and you can expect high occupancy and rental income. Currently, this property is available for R$550,000. 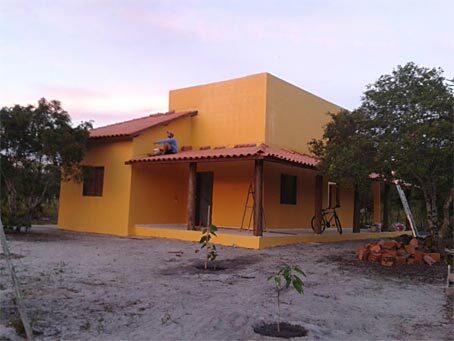 This house is in a premium location in Boipeba near the lovely Cueira Beach. There is easy access to the beach. The Praia da Cueira beach is about ten minutes by foot. You can reach the village center in about 15 minutes and the Morere Beach in about 20 minutes. The house is relatively new and the construction is modern with ceramic flooring, nice interiors and wood windows. It is designed to allow easy addition of another floor. The windows and roofing is constructed with Macaranduba wood. This wood is very durable and resistant to moisture, fungi and pests. Some of the other structural elements are made from treated eucalyptus. In addition to the living room, there are three bedrooms, two of which are bath attached. The kitchen is standalone and not integrated with the living room. You also get a utility area and balcony. The house is also suitable for conversion into a small hotel. Currently, you can buy it for R$350,000. 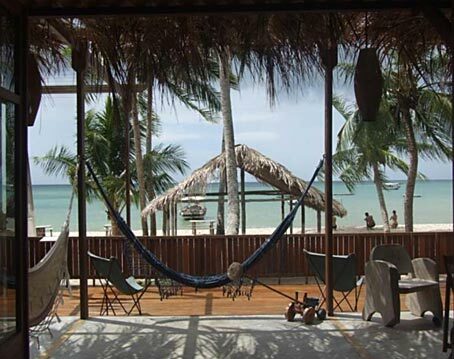 The beautiful island of Boipeba has almost unmatched peace and quiet compared to any other place in Brazil. It has everything that you would expect in a beautiful tropical haven. Boipeba has rainforests, palm-lined beaches, sand dunes, mangroves, coral reefs and rich flora and fauna. The rich ecosystem is carefully cared for and preserved. The islands are accessible only by boat. Save for an occasional tractor, there are no vehicles on the island. Boat is the most practical and popular mode of transport here. If you are looking for an attractive home in Boipeba, start by looking at the above properties. Call our agents for more details. We have a large number of properties in our database.